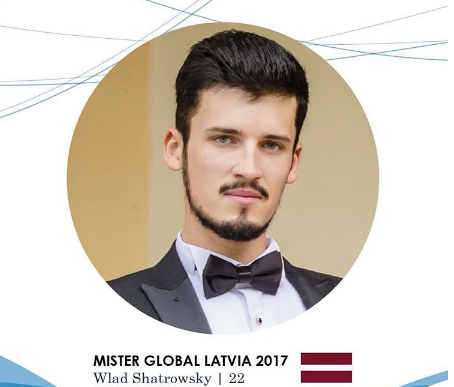 Wlad Shatrowsky is Mister Global Latvia 2017. He speaks Latvian, Russian and English, 22 year old and a native of Riga. He is a student at ISMA University. During his free time, he likes to play sports and do photography. He likes to help poor people and will use his title as Mister Global Latvia 2017 to help as many people as possible.